So, Brad and I have had our Pass of All Passes since, like, basically April. And just used it for the first time. Yeah. Awkward. 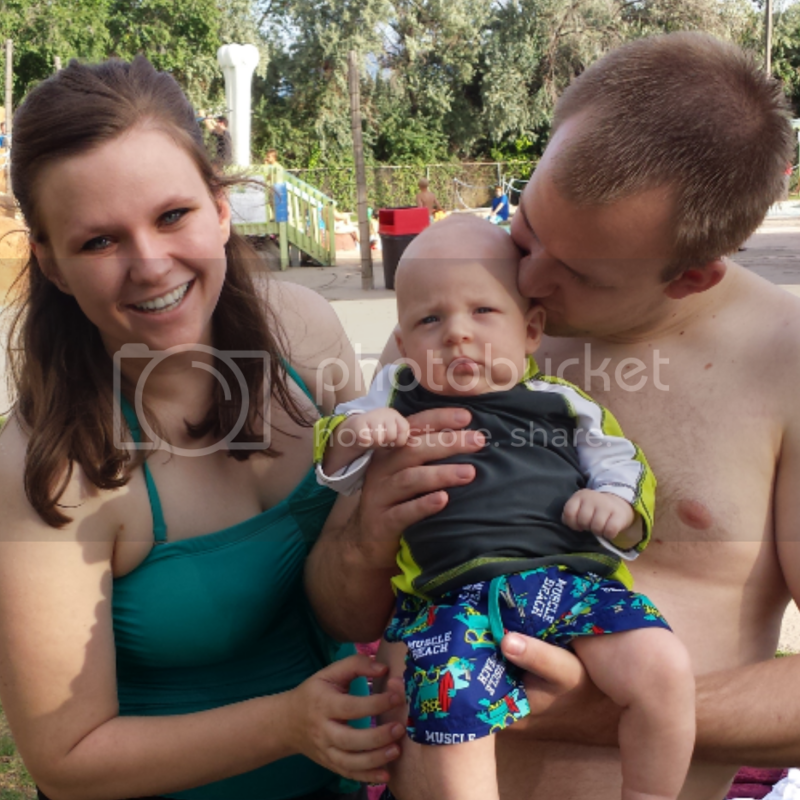 Well, almost four months later we decided we'd get our money's worth and finally use it to go to Seven Peaks to take George to his first water park! 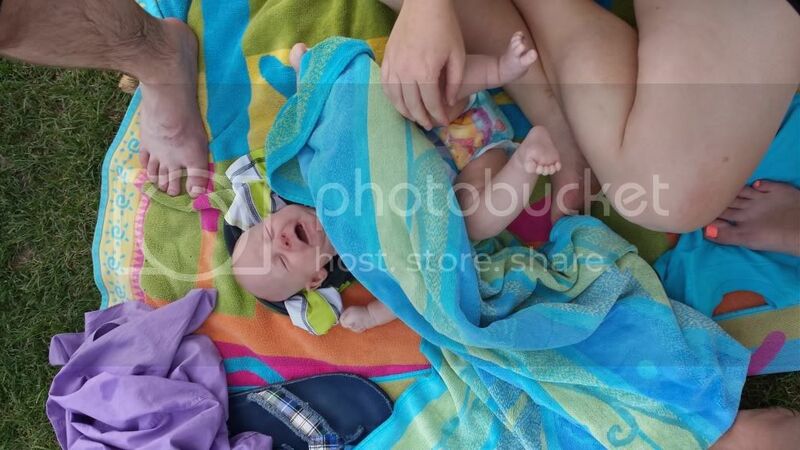 We've taken George swimming before in my parent's pool, and he's actually really enjoyed it so we thought that the water park would be a fun transition. Uh, yeah. Not so much. Yep, once we got him to the kiddie area he stuck out his lower lip ah-la true Jorge style. 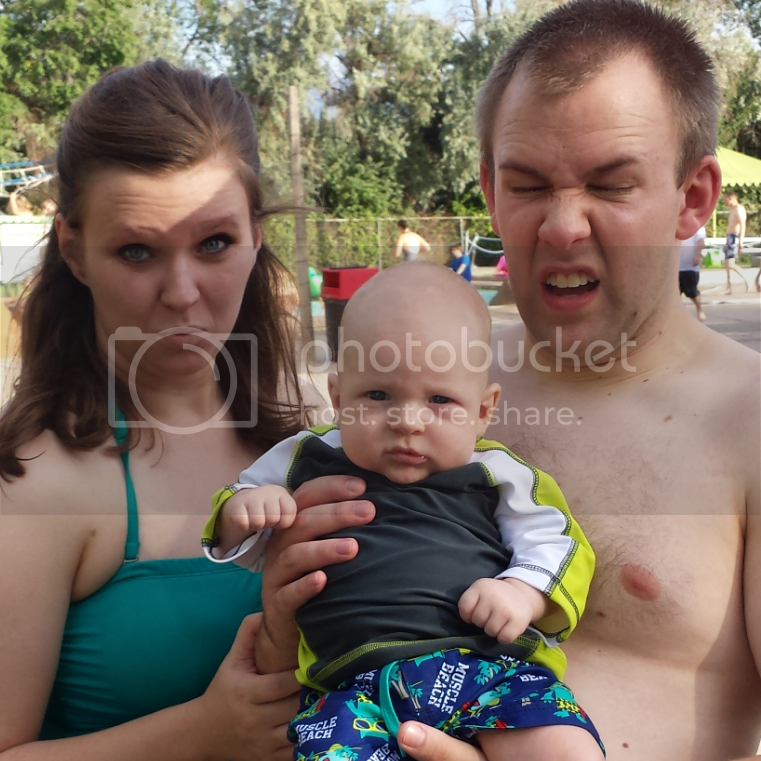 Screaming kids, super cold water, weird family that won't stop talking to us... George was not having it. The picture above is when we admitted defeat maybe fifteen minutes later--he was so ready to go home. But man, he sure did look cute! Alix came along with us and was nice enough to take a few hilarious family photos of the very short experience. Man, we love this little boy! Seriously. Look at him. Look at those swim trunks. The rash guard! Um, ridiculous on the cuteness. 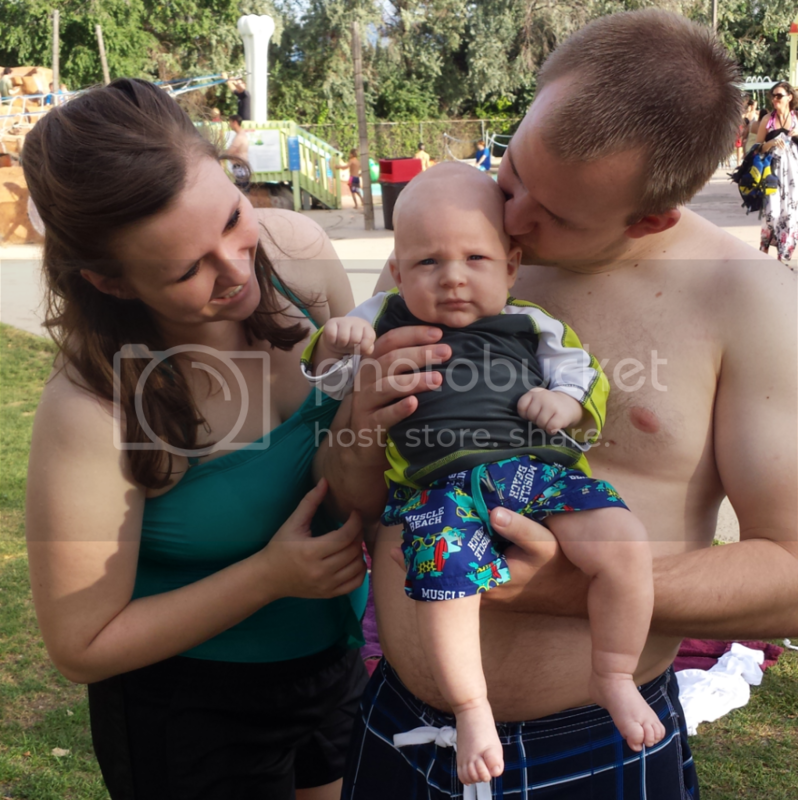 Although we kind of thought to get him a rash guard way too late into the season, and Brad literally found the last rash guard in Riverton at Target, so we had to stick with a 12 month. 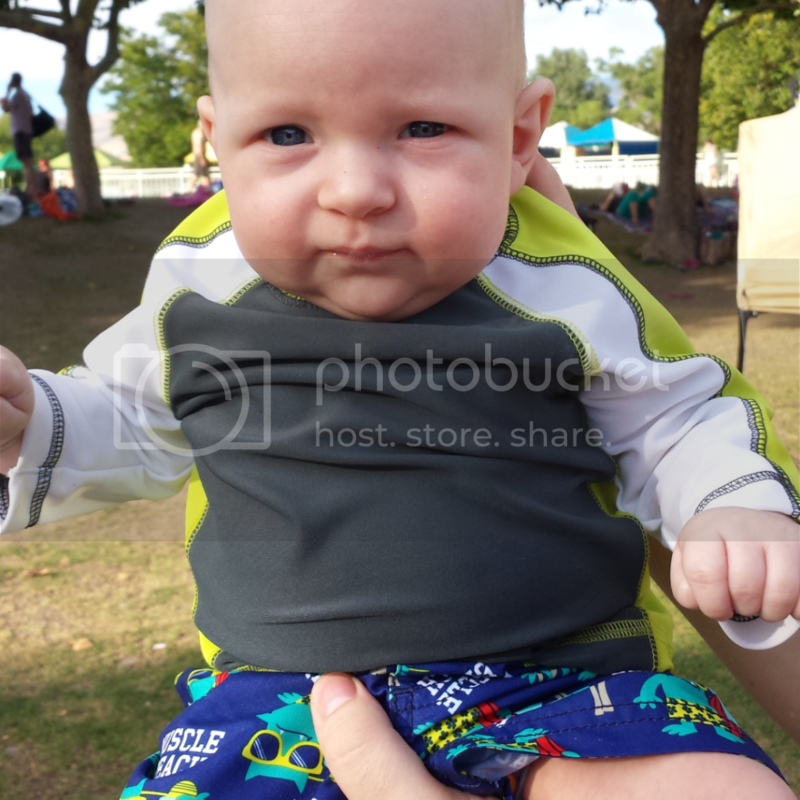 And the swim trunks said 0-3 months for the size but they were monster; my mom and I had to safety pin them to make them fit. But hey, maybe it'll all fit next year! Oh, and of course we had to take a photo mocking George and him being upset. We're kind parents like that.